This highly portable unit weighs only 20 oz, and is 7"x4.5"x1.6". It's lightweight and you can hold it in the palm of your hand. 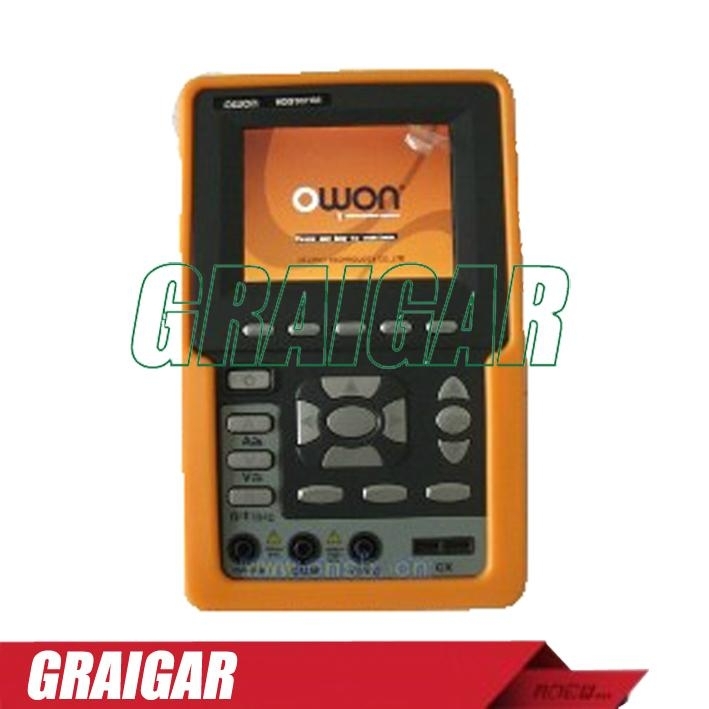 The Owon HDS1021M is a 20 MHz bandwidth 1 channel digital storage oscilloscope and multimeter with a 100 MSa/s sample rate and a 3.5 inch color TFT-LCD screen with 320x240 resolution. 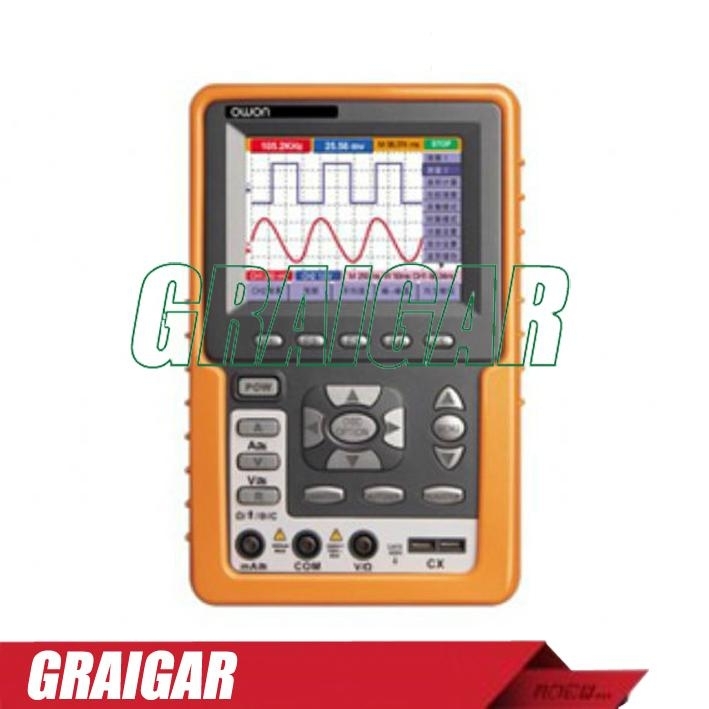 The unit contains 1 passive probe that is switchable between 1:1 and 10:1 input ratio, and 1 pair of multimeter leads. Also included are a USB cable, power adapter, user manual, software cd, and a soft carrying case.